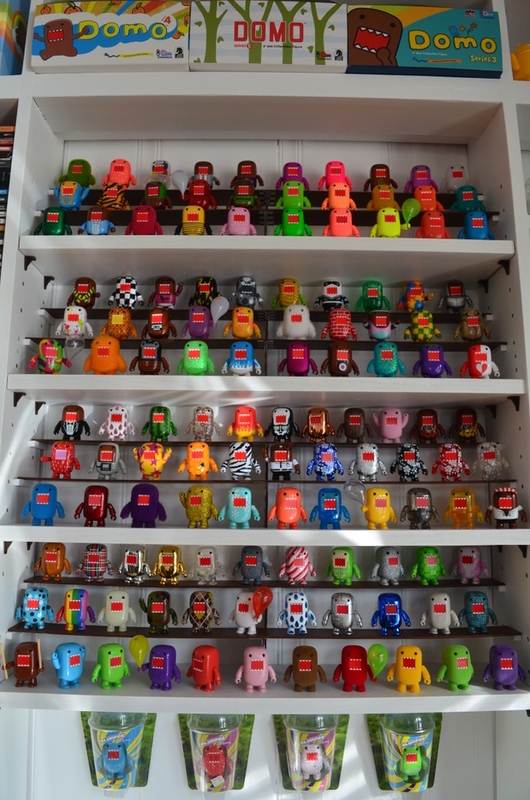 OK_DOMO's Collection // Rotocasted: Toy collecting library. Love your collection!!! I'm just starting mine. But I'm finding that they are really hard to come by nowadays. You don't happen to have any Domos that you want to sell, do you? Ok,great! Thanks for getting back to me. Do you have an extra corncob or the black and white rock star domo from series 5? I am very interested in the puzzle piece domo! How much are you asking?